In 1996 Ginger Gibbons started GSCF by making 4 half-hour films of Nick Butterworth’s PERCY THE PARK KEEPER™ for HIT Entertainment : “ After the Storm”, “ One Snowy Night”, “ The Secret Path” , “ The Rescue Party” and went on to produce a further 13×10 minute films. In 1997 GSCF produced a series of 13×10 minutes of Mick Inkpen’s KIPPER THE DOG™ and a further 65 episodes. In 1998 Ginger began the production and series direction of SHEEEP with 26×10 minute films based on Satoshi Kitamura’s SHEEP IN WOLVES CLOTHING for HIT Entertainment and CBBC. Over the following 5 years, Ginger completed for HIT Entertainment a 39 x 15 minute series of ANGELINA BALLERINA™ and three 45 min specials : “The Show must go on“, “Angelina’s Princess Dance” and “Angelina Sets Sails“. “I’ll be home for Christmas” based on the TOOT & PUDDLE books by Holly Hobbie. It was released on DVD by Warner Brothers. In 2015 Ginger completed, as the director for Kool Productions and August Media Holdings, the series 2 and 3 of ELLA BELLA BINGO : 78 x 6 minutes. After leaving Epsom & Ewell school of Art, Ginger trained as an animator at Larkin’s Studio (part of the film Producers Guild) and Richard Taylor Cartoons. Moving on to Halas & Batchelor, Ginger worked on commercials and gained his first experience as an animator on children’s films on the Edward Lear series. He then became chief animator at The Trickfilm Studio in London, making TV commercials before forming his own studio Gingerbread Animation. After then spending a year in Paris, on his return, Ginger teamed up with Geoff Dunbar at the Grand Slamm Partnership. After making many award winning commercials, he produced three half-hour films for the Beatrix Potter series; The World of Peter Rabbit & Friends™. These included: “The Tale of Mr. Todd & the Further Adventures of Benjamin Bunny” and “The Tale of Mrs Tiggywinkle & Mr. Jeremy Fisher” – both worldwide best-sellers, as well as the 92/93 Primetime Emmy-nominated, “The Tale of Peter Rabbit & Benjamin Bunny”. In 1992 Ginger won a British Academy Award (BAFTA) as studio producer of Daumier’s Law, and then decided to form his own studio to concentrate mainly on producing high quality films for children. After studying Visual Arts ( Arts Plastiques) at Paris I- La Sorbonne, Corinne trained in Paris as a film editor, working on many documentaries, short films and features. “Daumier’s Law” produced by Paul and Linda Mc McCartney received a Bafta in 1993. The Emmy nominated “The Tale of Peter Rabbit”, “The tales of Mrs. Tiggy Winkle and Jeremy Fisher”, “The Tale of Mr. Tod”, three classic tales adapted from the books by Beatrix Potter. 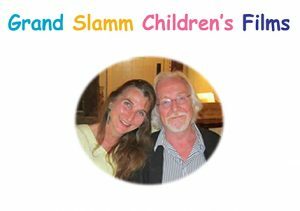 From 1996 Corinne has been the off line editor on most of Grand Slamm Children’s films’s productions.